Scotland is a major stronghold for hen harriers, with 80% of the UK population. Land managers and gamekeepers have been stepping up efforts as part of the ‘Heads Up for Harriers’ project to help protect the hen harrier population in Scotland. Last week a parliamentary question submitted by Andy Wightman MSP asked how many estates had nest cameras installed as part of the ‘Heads Up for Harriers’ project, in each year since 2015. Mr Wightman also asked how many of the participating estates included driven grouse moors. We were pleased to see that the number of estates taking part increased from 5 in 2015, when the project began, to 27 estates in 2018, covering hundreds of thousands of acres of land across Scotland. According to the Scottish Government, there were estates with driven grouse moors involved in the scheme in all participating areas – Highland, Moray, Angus, Ayrshire and Dumfries & Galloway. The number of chicks fledging from nests in 2018 was 30 chicks – a very useful addition to the overall UK population, estimated to be between 500 and 600 pairs. Not all pairs will nest and hen harriers face many challenges even when a nest has been established. According to the Partnership for Action Against Wildlife Crime (PAW) Scotland, the primary reason for failure (at chick stage) was fox predation in 2018; however, owl predation and starvation, due to adult birds not being able to provide enough food, also played a part. 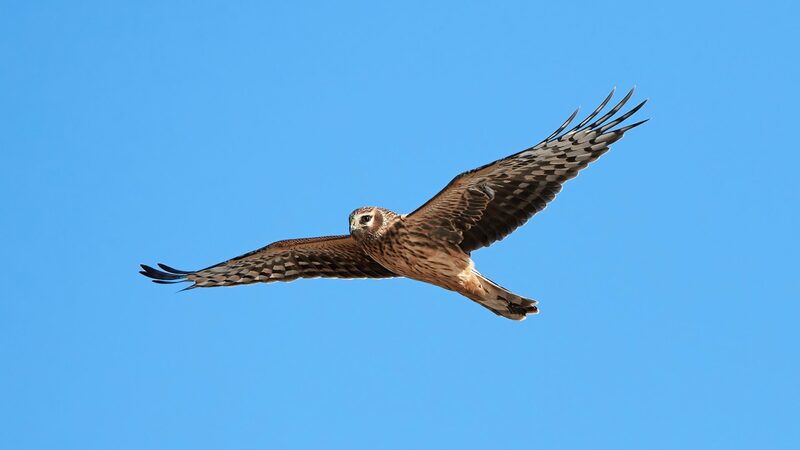 The Heads Up for Harriers Project is overseen by PAW Scotland and Scottish Natural Heritage. There is a genuine commitment from estates to see the harrier flourish and this is why so many have volunteered to assist with the collaborative effort to increase the hen harrier population. We thank them for their contribution.